If you're faced with a potential hurricane and you'd like to protect your personal belonging, say, a car, don't go wrapping it up in plastic and duct tape. This image was snapped by a New York Daily News reader. 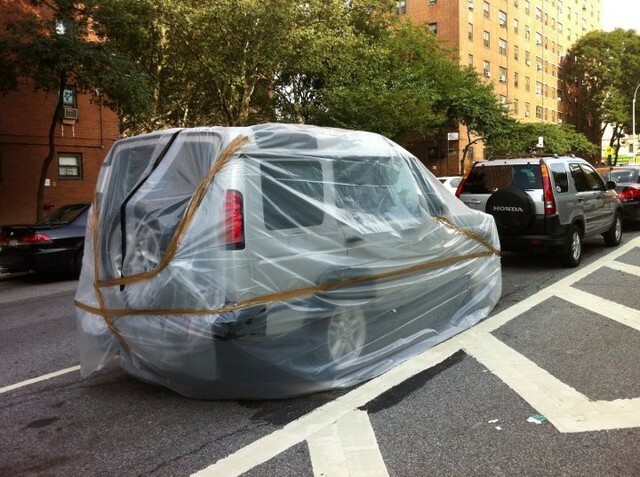 Now, although we're not entirely sure whether this was a prank, as a NYDN reader commented, or the owners were genuinely misguided, the plastic sheeting was ripped off the following day. We're kinda feeling for Land Rover, having a customer thinking they can shelter an SUV from the elements.